The digital manufacturing sector as we know it is starting to undergo radical change and this will have widespread ramifications for supporting manufacturing technology solutions. 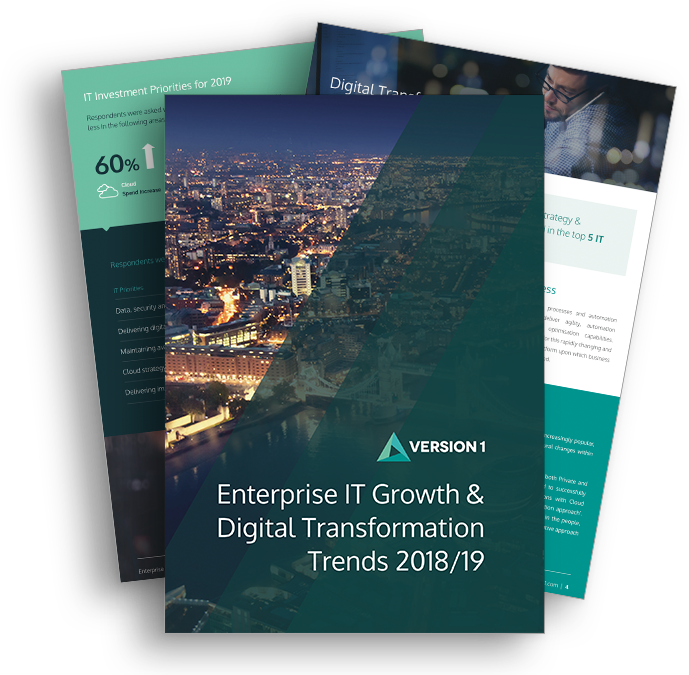 Although initially gradual and driven by diverse trends however, this change is accelerating and is driven by radical changes in business, technology and economic factors. In the following article, the second in the series, we explore how the building of appropriate connected and open technology systems can support more diverse and wider commercial opportunities with partners and suppliers. One of the key tenants of Industry 4.0 and Digital Manufacturing is the ability to quickly reach, engage and respond to customers and their needs. Recent surveys indicate that 33% of manufacturers expect the new technologies currently driving digital manufacturing to help increase sales and provide new ways to reach, engage and provide solutions for customers. Most manufacturers have already implemented Customer Relationship Management systems and along with social media, these solutions will help customer targeting, profiling and understanding. However, comprehending customer needs is only one aspect of the new demands of the digital economy. To support the drive towards more digital economises requires the derivation of new types of products and services which can respond quickly and flexibly to these needs. The use of digital manufacturing techniques, allow the use of more flexible, low volume production runs to respond to varying customer needs and generates great potential for custom on-demand production approaches. Indeed, many new digitally-based products and services may not require production in a physical form at all, or will allow physical production to take place nearer to the final customer in a more just-in-time manner. The use of 3D printing and digital transmission technologies for example, support the digital transfer and local production or rendering of some product designs within and across national boundaries to a range of markets. This completely changes the role of supply chain logistics and the potential for achieving operational efficiencies. To achieve the potential offered by digital manufacturing requires a re-think of existing approaches and solutions. Manufacturing software solutions need to be more connected, open and better vertically integrated than ever before. Traditionally, manufacturing solutions have been less integrated with suppliers and partners than other sectors and historically have only integrated at “arms-length”; through industry based EDI exchanges or point -to-point workflow-based messaging. Often these technology implementations have been a relatively fixed reflection of the separate and isolated physical processes rather than a driver for business change and opportunity. The full potential of digital manufacturing will only be fully realised by those manufacturing organisations able to re-design processes, share information openly but securely and work closely with business and technology partners to optimise implementations in every area. To build and optimise implementations to fully meet the needs of digital manufacturing requires a key set of activities and approaches. 1. Harnessing the Cloud – Over 60% of manufacturers already use a range of public cloud technologies. The use of these highly scalable and flexible compute, processing and storage capabilities at low cost, is the key way manufacturers can facilitate wider connectivity with suppliers and partners and introduce new processes and platforms with the emphasis on operational rather than capital expenditure. This enablement of wider connectivity based on operational expenditure allows greater linked to production behaviours and allows more effective planning, costing and scaling of manufacturing activity. At a minimum, private cloud or on-premise should provide public integration points. 2. Fully Leverage Internet of Things (IoT) Technologies and Platforms – Many current process control systems are highly proprietary and do not integrate well with other enterprise systems in a cost-effective manner that provides suitable Return on Investment (RoI) and insight. Most manufacturers have either implemented, are implementing, or plan to implement, an Internet of Things (IoT) strategy and this is a key cornerstone in any digital manufacturing strategy. Effective use of IoT via public networks and cloud platforms and its related derived insight will improve product quality and reliability as well as reduce costs and increase throughput. Any use of IoT must be suitably secured however. 3. Treat Data and Insight as a Commercial Asset – To support deeper relationships with third party suppliers, partners and customers, it is essential to be able to capture and share data relevant to every interested internal and external stakeholder. This may include data derived from production processing, warehousing and logistics systems, supply chain processing and ordering and procurement. However, data should only be captured with appropriate consent and in compliance with relevant regulatory and legal obligations. Whilst these data sources may have no immediate apparent internal value on their own, the resultant data may have a commercial value to an internal stakeholder or third party. When combined with other data sources, such data may provide such stakeholders or parties with actionable commercial insight. Ownership and control of such data may in turn provide new revenue streams or potential services for the relevant organisation. 4. Provide Suitable Data Integration Points and Standardised APIs – To make the relevant data available to interested stakeholders, it is necessary to make it available in a controlled and secure manner to others. This requires the provision of public or controlled endpoints which ensure that only the required data is made available at the right times when requested.The nature of the data endpoints or APIs should be suitably defined and versioned to allow them to be easily supported and maintained. All access should be secured with appropriate access credentials and then logged and audited appropriately for security or charging purposes. 5. Support for Open Standards – As stated above, historically the manufacturing sector has been dominated by proprietary systems and data formats that cannot be easily interchanged other than with systems from the same supplier. Often the data from such systems requires complex ETL or data transformation to take place by other systems and often, this data translation is performed on a point-to-point basis. Existing proprietary systems should be abstracted to open systems and interfaces or APIs wherever possible.To support new ventures and interactions, all future technology solutions should place suitable procurement and delivery emphasis on open systems and standards. Implemented effectively and consistently, an open standards approach will minimise the need to support a range of data interactions and therefore reduce levels of technical debt incurred. It will also provide greater business agility to respond to the needs of new third parties. 6. Focus on Improving Manufacturing IT security – As internal networks become more open to third party access and make greater use of public networks and platforms, so the emphasis on security to prevent loss of digital assets and reputational damage should increase. Security should always aim to support rather than block activity in a risk aware manner however, worryingly, 10% of manufacturing have done nothing recently to enhance IT and data security. Currently, many IoT devices or sensors are highly distributed and currently have minimal or weak security and yet paradoxically, are increasingly connected to global internal and external networks. Manufacturing organisations should therefore suitably invest in device trust and a range of encryption technologies; to secure all aspects of their internal and external interactions to ensure these only take place with trusted devices and third parties. 7. The Need for Future and On-Going Investment in Technology – Historically investment in manufacturing systems has been very cyclical with periods of high investment often followed by long periods of no investment or under-investment whilst a return on investment is assessed. In the era of digital manufacturing however companies that do not consistently and continuously invest in IT will find it hard to compete effectively. Therefore, to obtain competitive advantage, manufacturers should continue to invest in a targeted and effective manner in areas where effectiveness can be easily and continuously measured. 8. Place Importance and Value on Big data and Analytics Platforms – Big data is rapidly reshaping the competitive environment and poses both opportunity and challenge for many organisations. Manufacturers should wherever possible, seek to invest in analytics platforms which can extract valuable insight from the huge volumes of data generated by manufacturing processes and IoT devices. We will explore this topic in the next article in this series. Version 1 proves that IT can make a real difference to our customers’ businesses. We are trusted by global brands to deliver IT services and solutions which drive customer success. Our 1000 strong team works closely with our technology partners to provide independent advice that helps our customers navigate the rapidly changing world of IT. Our greatest strength is balance in our efforts to achieve Customer Success, Empowered People and a Strong Organisation, underpinned by commitment to our values. We believe this is what makes Version 1 different and more importantly, our customers agree.